T10 LED tubes can be used in a number of locations in and around the home and you have a series of options available depending on your exact needs. 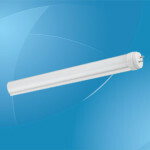 These LED tubes come in various lengths, wattages, and even different covers to alter the light and when you then add in the fact that they are more efficient than fluorescent tubes that preceded them, then it is clear why you need to look at changing to these newer models. When it comes to their efficiency and the amount of electricity they use, then the first thing to know is that they generally need 80% less electricity to work when compared to older models. This does of course mean that you can make substantial savings throughout the life of the tube and when they tend to average lasting for around 40,000 hours, then it means you will save a lot of money over the years. These tubes will also meet all of the safety standards and they do not produce any UV or IR radiation making them completely safe to use. Choosing the cover of the tube does have an impact on how much light you then get out and the three main types available are a transparent cover, prismatic cover, and a frosted cover. These different covers are also available in various lengths and you will typically find T10 LED tubes being available in sizes ranging from 2ft up to 5ft in size depending on your needs. As the size of the tube increases so does the number of watts that it offers you and most manufacturers will tend to work to the following scale although there could be slight differences depending on who actually makes them. On average, the 2ft tube will use approximately 9W with this increasing to 14W for the 3ft tube, 18W for the 4ft and 22W for the 5ft. 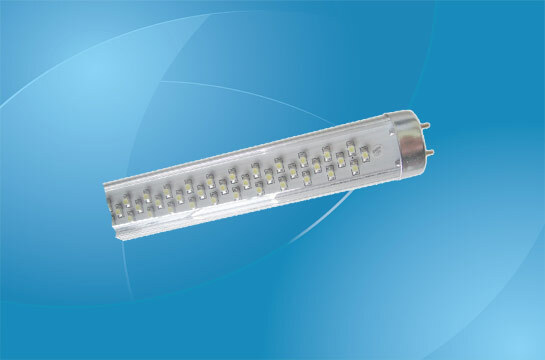 These wattages may sound rather low, but it is important to point out that the 18W tube can be the equivalent of the old 60W bulb and this means you will get more than enough light especially when you consider that it still emits up to 900 lumens. Finally, these tubes will often have a number of shades of light to offer you depending on how bright you want it or if you need something that has a more yellow tinge to it. The most common shades to choose from are daylight, natural white, cool white, and warm white with warm being the one that gives the softest glow so do keep this in mind when looking to buy a new tube. These tubes are used as either main lights in rooms such as kitchens or can be adapted to fit your garage, but the main thing is that they are only to be used internally. The smaller tubes can be used under counters or a shelf to add light to what would otherwise be a darker area and this is why they come with a smaller number of watts. If you currently use fluorescent tubes, then do yourself a favor and switch to these new T10 LED tubes and take advantage of their greater efficiency and them using up less of your electricity when in operation. There are a number of sizes, shades, wattages, and even covers available, so check out what is on offer and select the right one for your needs and enjoy the benefits immediately.